Gifts and activities for struggling readers centered around reading can perhaps stir up some interest for books for kids who aren't reading well yet, or just need a little encouragement. If you have or know of a beginning reader who is struggling to learn to read, you may want to consider some well-thought out gifts that might be an encouragement for their reading journey. Here are 21 ideas for you to consider as you shop this season! 1. Magazine Subscriptions - a Great Gift Idea for Readers! Interest-based magazines for kids are a GREAT way to encourage reading! It's so much fun to get something in the mail. The text in a magazine are split up into small chunks or sections, which make reading not seem so insurmountable and way more fun! Plus, the text is written surrounded by informational and beautiful pictures which give context clues for text, which is great for beginning readers. Reading and writing of course go hand in hand. So what better way to encourage kids to write than to gift them with a really cool diary or journal. Even if they only draw pictures, that is the beginning of writing and reading! Just like magazines, and perhaps more so, comic books are broken down into smaller portions of text that kids can tackle without much intimidation. Plus, tons of pictures and funny stories make it way more fun to read! Sight words are an integral supplement to phonics when learning how to read. Knowing a good majority of high frequency words will give beginners a great head start for fluency. A gift that helps a child memorize the sight words they need is a great gift to consider! The book included below integrates sight words into mini-sentences to make memorizing easier and help students learn sentence structure quickly as well. There are so many apps and computer software programs that teach kids how to read. Do a quick Google search looking for reading apps and you'll find quite a few that can really be a great aid for beginning readers. For struggling readers, you can do a search for the specific issues that the student may be struggling with (fluency, comprehension, phonics, etc.) and find a great program that targets that reading skill! A great gift idea for your beginning reader is a book bag or backpack she can use to tote around all her books! Something she can be proud of when she goes to school, or something designated for visits to the library. To make it even more special, check out bags and backpacks that can be monogrammed or personalized with her name. 7. A new lamp or light for the room - the perfect gift for bookworms! A kid's gotta have light to read by! Something simple but so effective for reading in the bedroom - a great lamp or light to set at a desk or nightstand table. Better yet, make it a "fun" novelty type lamp to get the atmosphere just right for a room ready to be read in. This would be a unique option as gifts for readers and writers alike. Foundational of course for great reading is a good handle on the letters of the alphabet and the corresponding sounds of the letters. It's a job though, for a child to learn it and get really good at knowing all these letters and sounds! A great learning toy can make all the difference. Depending on the level of your beginning reader, consider an alphabet-focused toy. Create an enticing and cozy, comfortable place that can be all your child's. A place to go to for reading and comfort. You're goal is to give your reader an environment that makes them be excited and want to read. A fun beanbag or chair is a great start as a gift ideas for readers! Go ahead and put that beanbag inside of one of these tents or pop-ups that look like so much fun! What kid would not want to sneak away into his own reading area, away from everyone else? Add some twinkle lights inside and a little ambience. Let your child decorate it and make it a special reading haven. This is a terrific idea for a gift to a new and struggling reader. Tried and true, you can never go wrong with a good bookmark or two. And if you search on the internet, you'll find some really great ones. You can find one perfect to fit your new reader. This is a great stocking stuffer idea or a small gift to include in a Christmas card! 12. Gift Card to Amazon or a local bookstore - Going to buy the perfect book is a great activity for a struggling reader! Always a great gift - especially for an older reader, or if you are just not sure what to get. If you are specific to get a gift card that the student can only spend in a bookstore, you are narrowing down their choice of what to buy. This way, your reluctant reader can get excited about going to pick out a great book! 13. Toys that encourage Phonics learning! Also central to the foundation of building a great reader is a great knowledge of phonics. Put together a young upcoming book lover's gift basket full of fun and educational Phonics activities. Pick toys and activities for struggling readers that include a way for students to practice and solidify gains on their Phonics learning. Listening to books being read aloud is a great way to increase fluency in your new reader. Help your student redeem their time in the car or at the end of the day by giving books that she can listen to any time! A subscription to audible or a store online that provides books to listen to digitally is a great idea for a gift. 15. Another perfect activity for a struggling reader? Board games that encourage reading! What a great idea for a Christmas gift for anyone! If you are looking for activities for struggling readers, here is a good one. Picking out a board game that requires some reading to play and win can really help your beginner. Having fun while reading and the repetition of playing will make reading seem way more fun for a kid who struggles. Here are just a few ideas..
17. 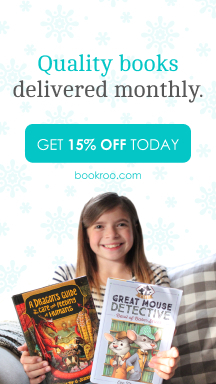 Kid's Cookbook - include in a book lover's gift basket! Most kids will like the idea of learning to cook up something fun and then serving it to the family! Give them direction in the kitchen, but use the ingredients and recipe instructions to practice reading skills. Not to mention, your student will be learning a little extra math when figuring out portions and amounts. Another fun and cozy way to get comfortable while reading. A special pillow that your new beginner can take anywhere in the house to rest their head and dig into a good book. Kids always love soft pillows that they can take anywhere - like Grandma's house, or overnight at a friend's. While the lamp or main light listed above is an excellent idea, why not consider a flashlight or headlamp? How cool to dig down into your tent or covers and be able to read with your little mini-light. Flashlight-type gifts for book nerds & the book-averse will make any kid a happy kid. There are also tiny lamps that clip onto a book for nighttime reading. The sky is the limit with choices for flashlights! 20. Supplies to play classroom at home - Gifts for readers and writers..
Of course, when you are the teacher, you know the material better than anyone in the room! Give your student a dose of confidence when you put him in charge of the classroom. Have your new reader teach you or his siblings how to read words and sentences. This is a great idea for struggling readers, or gifts for book lovers (& Amazon is an easy place to buy it all together for the holidays). Pull out all the stops and buy supplies for a great imaginative classroom that your student can thrive in. Last, but not least - why not consider a Kindle or Tablet (or any fun electronic device) that can host reading apps, games and online books to read and listen to? I HIGHLY recommend checking out this article about the Best Tablets for Kids before you buy. If you are looking for gifts for bookworms, this what to buy! Grab your purse and stick it in so your struggling reader can play Phonics games while you wait at the doctor's office. Take it on the car ride so that your child will have something to read for the long trip. Make sure to buy something durable or kid-friendly, and you can't go wrong with this gift! P.S. Don't forget to grab these free resources for your reader! More fun giveaways for you! 9 Fun Ways to Teach Sight Words with Leaves You’ve Gotta Try Today! !